The table below summarize the most important technical characteristics of Ozeki Android SMPP SMS Gateway mobile application. Learn more about compatible devices, sizes, graphical user interface and any other specifications. 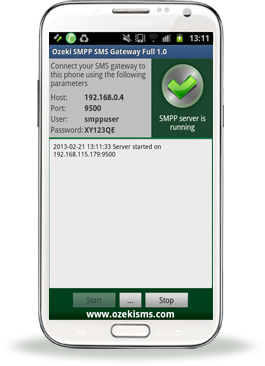 Developer company Ozeki Informatics Ltd.
How to setup for Ozeki NG SMS Gateway? Top 10 benefits, which makes Ozeki Android SMPP SMS Gateway so amazing. 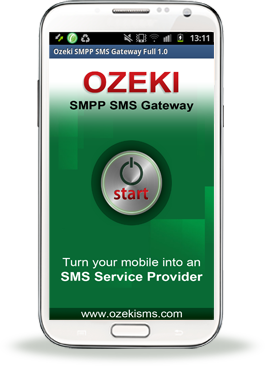 Ozeki Android SMPP SMS Gateway Lite is a limited edition, while Full Plus has trial version. Read more about limitations.